The Grenada Bar Association will be highlighting the plight of individuals of Haitian descent who were born and bred in the Dominican Republic. 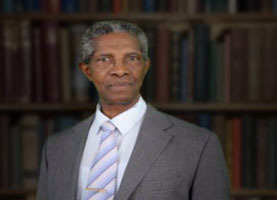 This highlight takes the form of one the public lectures in honour of Sir Archibald Nedd, to be delivered by the well-renowned former Trinidad and Tobago Ambassador to Washington, Mr Reginald Dumas. The lecture is scheduled for Thursday 10 April at Saint George’s University, and is entitled: “State Revoked Citizenship: the Case of the Dominican Republic and Haiti and the Implications for CARICOM”. The background to the lecture is that in 2008, the authorities in the Dominican Republic seized the birth certificate of one Juliana Deguis Pierre, aged 23 years, who was born in the Dominican Republic to Haitian immigrants. She never lived anywhere else. She was considered to be a foreigner “born intransit” and was not entitled to citizenship. Pierre challenged the seizure of her birth certificate, and eventually in September of 2013 after a number of court appeals, the case was finally decided upon by the Constitutional Court in the Dominican Republic. Pierre’s citizenship was annulled and an order was made for the authorities to review all birth certificates which were issued since the year 1929, some four generations ago. The ruling of the court shocked human rights advocates all over the world. On 8 October 2013, the Inter-American Commission on Human Rights (IACHR) expressed deep concern over the ruling by the Constitutional Court and pleaded with the authorities in the Dominican Republic to resolve the matter within a human rights perspective. On 5 December 2013, a delegation from the Robert F. Kennedy Centre for Justice and Human Rights which had a delegation in the Dominican Republic, released a statement describing the situation as ‘an act of massive discrimination against Dominicans of Haitian descent’ and called on the international community to stand together to demand the compliance of the Dominican authorities with global human rights standards. CARICOM, the United Nations and other institutions and nations have also expressed outrage over this development. It seems clear that it was mainly Haitians who were being targeted. It is estimated that over five hundred thousand Haitians are caught by the ruling. With no legal identification, admissions to schools by Haitian students and other social amenities would be denied to those affected. The fact is that many thousands of Haitians have been rendered stateless by the Dominican Republic — the same country to which consideration is being given for full membership of CARICOM!! Despite gaining early independence, Haiti, now a full member of CARICOM, remains the poorest country in the Western Hemisphere. A substantial majority of Haitians who are mainly of African descent, are poor and lack formal jobs. In fact a considerable number of Haitians are illiterate. As a consequence of this situation many thousands of Haitians cross the border and seek a livelihood in the more prosperous Dominican Republic — which has a substantial number of citizens of Caucasian origin. It is estimated that today, more than eight hundred thousand Haitians are in the Dominican Republic occupying menial jobs. Despite their significant contributions to the Dominican society, it seems that Haitians are consistently being discriminated against because of their racial origin. It seems to be an official policy of discrimination. This policy was especially promoted since 1937 when President Raphael Trujillo ordered the massacre of thousands of Haitians, in what is referred to as the “Parsley Massacre”. At that time over twenty thousand Haitians who lived on the Dominican side of the border were machetted or shot to death in a matter of six days. The Dominican soldiers identified the Haitians when they could not properly say the word for “parsley” in Spanish. Even up to this day a Caribbean system of apartheid seems to prevail. It is a stark reminder of the policy of segregation and discrimination against black people which the authorities perpetrated in South Africa under President P. W. Botha and others. It is worthwhile therefore to analyse this racial and discriminatory policy of the Dominican Republic and determine the implications for CARICOM. This is especially so in light of the fact that Haiti is presently a member of CARICOM and from all appearances consideration is being given to the admission of the Dominican Republic to CARICOM.